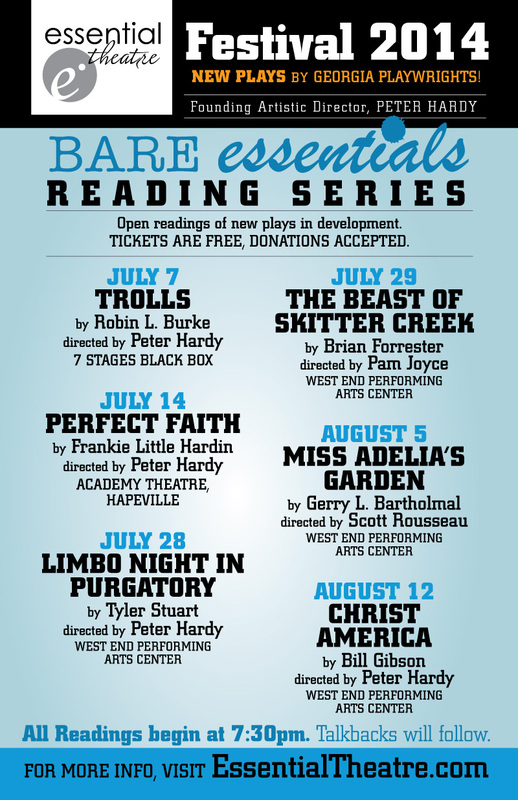 Founding Artistic Director Peter Hardy is overseeing the Bare Essentials reading series and directing four of the six readings himself. 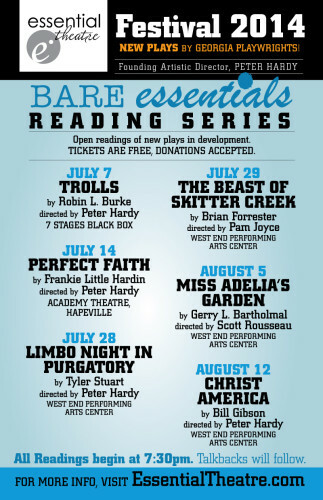 Peter is a national award-winning playwright himself, who’s had over 30 productions of his work done around the country, and was named Creative Loafing’s Critic’s Pick for Best Local Playwright in 2010. 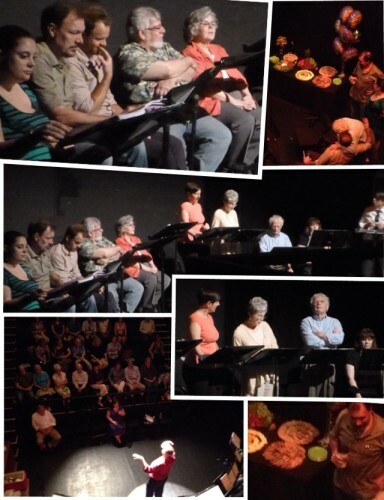 Click here for an interview with the playwright.